The Saturday Morning Stream will return tomorrow. The Saturday Morning Stream will return tomorrow. No, it's still the Saturday Morning Stream on Sunday. 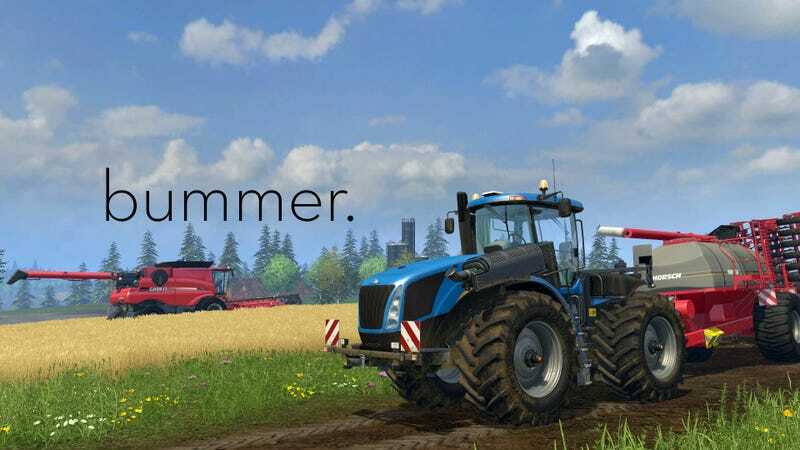 Unfortunately today's game, Farming Simulator 15, will not start from Steam on my computer. I am genuinely disappointed. Maybe they'll fix it by tomorrow.